Uh oh ... looks like this product has been discontinued. Fortunately, we have wide range of products just like it! Scroll down to see our recommendations. 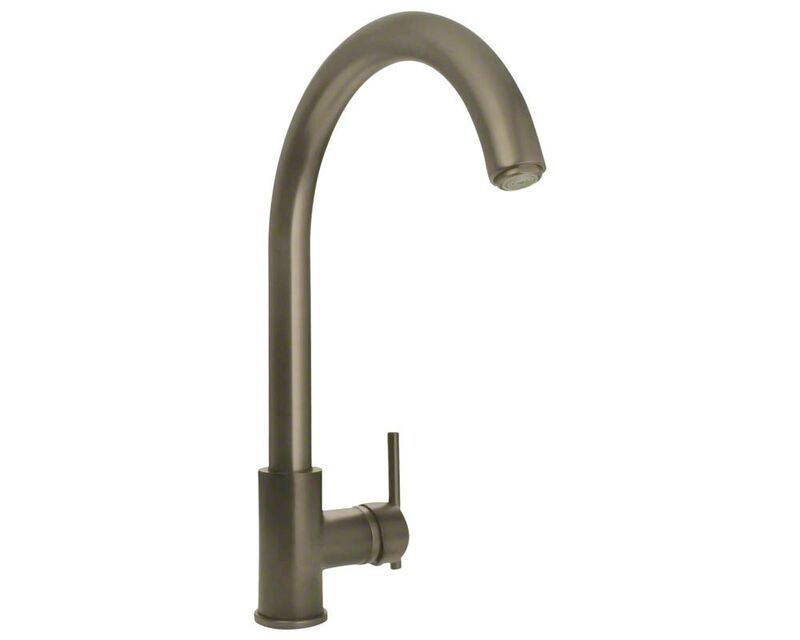 The 711-BN Single Handle Kitchen Faucet has a one or three-hole installation option and is available in a brushed nickel finish. It is a versatile faucet with a 360 degree spout and optional base plate that can be used with a kitchen or bar sink. The dimensions for the 711-BN are 2" x 8 7/8" x 14 5/8". This faucet is pressure tested to ensure proper working conditions and is covered under a lifetime warranty. With its simple design, the 711-BN is sure to complement any bar or kitchen sink. *Some exclusions apply, such as Custom Orders, Container Orders, special orders, orders of any clearance products and where expressly stated otherwise on the site. See our Terms of Sale for full details. That's right, we offer up to 5 free samples absolutely free! Help Every Step of the Way!